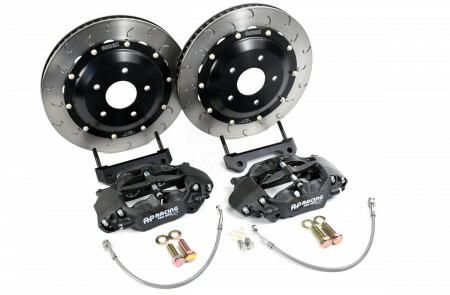 Radi-CAL Competition Brake Kits | Essex Parts Services Inc.
“Radi-CAL” is a blanket term used to describe AP Racing’s patented asymmetrical brake caliper design. 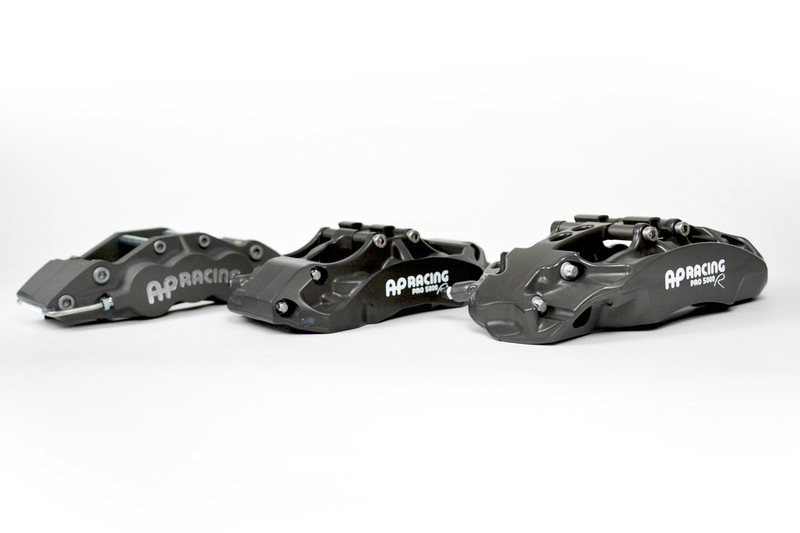 Radi-Cal technology is grounded in Computer Aided Design (CAD) and Finite Element Analysis (FEA), and allows for organic, alien-looking designs that are a radical departure from conventional caliper designs of the past. 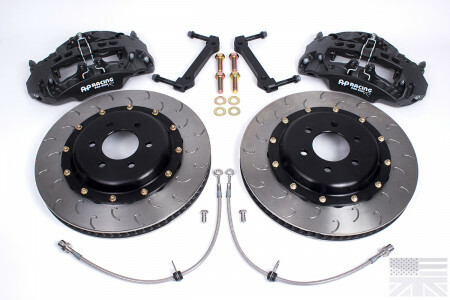 Calipers leveraging the Radi-CAL design philosophy are widely considered the pinnacle of current brake caliper technology. 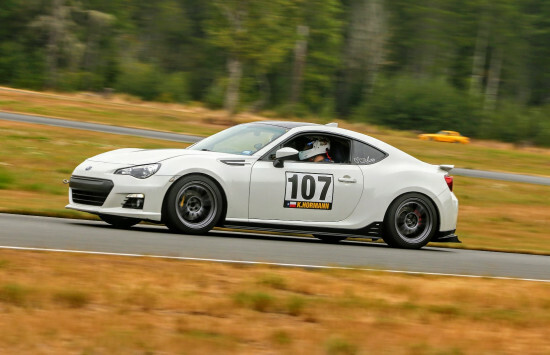 Since their inception in 2007, these revolutionary calipers have amassed a lengthy string of race victories at all levels of professional motorsport, while redefining brake performance expectations. 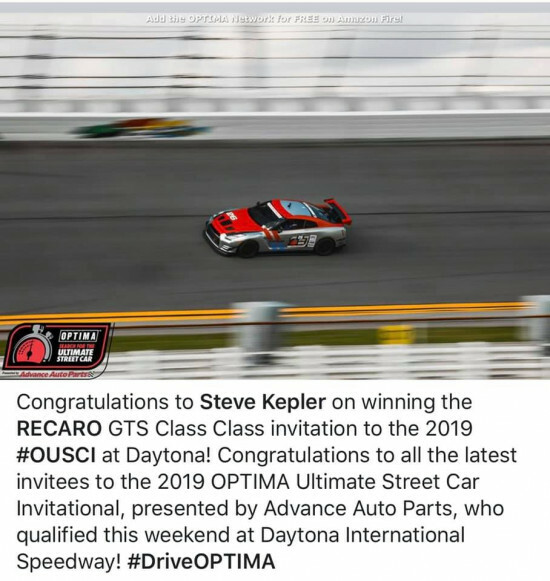 Please click here for the AP Racing Radi-CAL story. 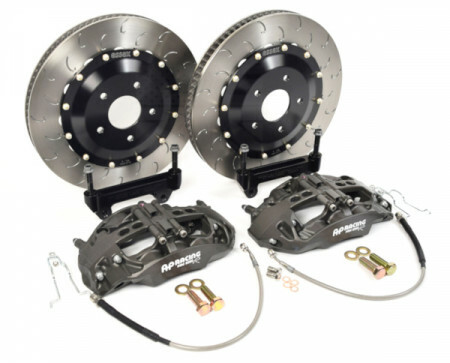 While our standard Essex Designed AP Racing Competition Brake Kits remain an excellent choice for chasing lap times, our Radi-CAL Competition Brake Kits bring the bleeding edge of racing brake technology to the common enthusiast. 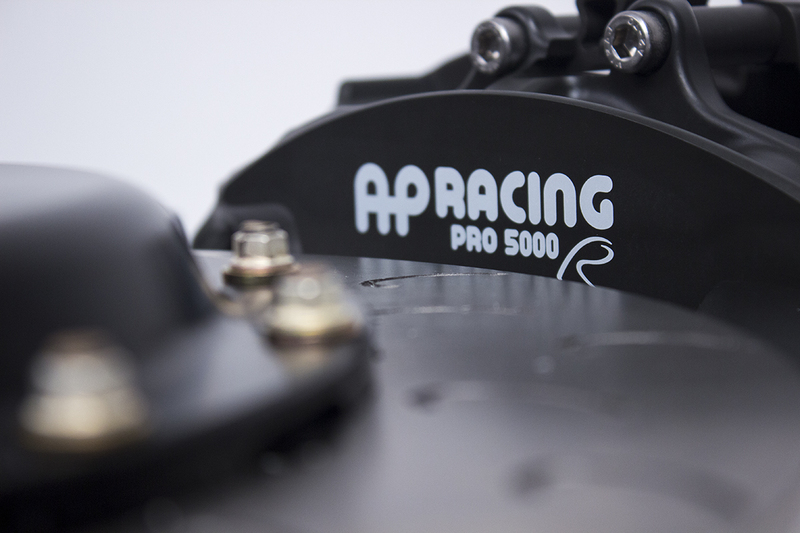 These systems include all of the standard features of our Competition BBK's, but leverage AP Racing's Pro5000R Radi-CAL's to increase stiffness, lower mass, and optimize cooling and wheel fitment. 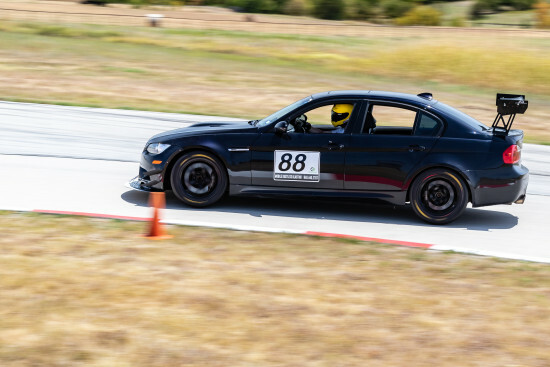 Massive Stiffness Increase- A 30+ % increase in both static and dynamic stiffness allows for far less deflection under load, which means superior pedal feel & modulation, more even pad wear, and longer caliper service life. 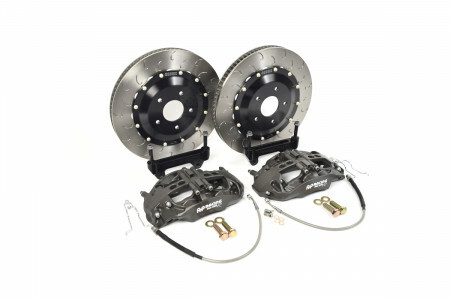 Optimized Airflow- Air moves around and through the caliper more efficiently, providing superior heat evacuation. 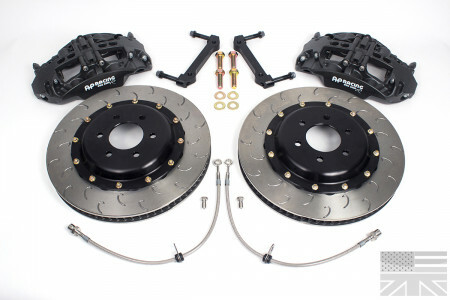 Efficient Packaging- The wide, asymmetric caliper profile and internal porting allows the caliper to fit into tighter spaces. 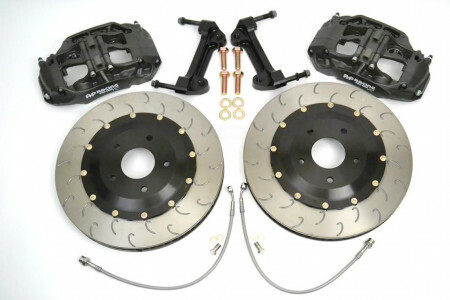 For a comparison between the various types of big brake kits that we offer, please visit our big brake kit overview page.